This book is a story told from the eyes of a child of a single mother (taken from back of book) set in the 1940s in Big Sky Montana. I can relate to the child as I grew up without a father as mine died when I was eight so my mama raised me by herself. I also fit right in with the child as not having the things that other children have, but I grew up in South Carolina. I loved the way Jayne Pearson Faulkner described her childhood and her mother and grandmother as they lived each day with joy in their hearts and what they had and not what they didn't have. They enjoyed life and loved each other and I could relate with everything they did. I fit right in with them and relived my childhood days alone as the story unfolds. Jayne makes you see the Big Sky Montana as if you are really there, she paints a great picture of the country and the family. This is the first book I have read of Jayne Pearson Faulkner's and I really loved it. Jayne lives in Oregon with her family and is a graduate of Central Bible College, a former editor and writer for Gospel Publishing House. She has been a missionary for many years to the Philippines as well as the South Pacific. I hope to get to read more of her work. This book was sent to me by Bring It On Publishing for my review. I was given the opportunity recently to review a book through Bring It On Communications. I love reading, but can't always find the time to sit down with a good book.... and actually read more than a few pages at a time! In fact, I don't normally do book reviews, because of the length of time it takes me to complete a book. However, Glimpsing God by Rachel Alkire, caught my interest right away, and I was drawn in by the beautiful and powerful cover. After reading the blurb below, I decided it was definitely something I wanted andNEEDED to read ... and I'm so glad I did! This was a very quick read, and one you don't want to put down. "Why do bad things happen to good people? Does God really care? This dramatic true story by Rachel Alkiretells of her near-death experience, and details how her daughter's skull was crushed by bullies, her oldest son was left lifeless on the side of the road in the aftermath of a car accident, and three of her five children were diagnosed with an irreparable genetic brain disorder -- one unbelievable tragedy after another. And when life seemed to be at its lowest point, her husband suffered a crash that left him permanently disabled." When tragedy strikes, do you wonder if you are being punished? Or do you find the loving, merciful God carrying you through it all? Amazon.com says: "This true story begins with the typical struggles of a young family which were dramatically altered by several tragedies of hurricane proportions. It all began, when the author, a mother of five, suffered a near death experience. Not long after that some neighborhood bullies smashed her only daughter’s skull and then her oldest son was in a devastating auto accident that left him lifeless on the side of an expressway. When it seemed nothing more could possibly happen, three of her five children were found to have an irreparable genetic brain disorder in which the odds were one in a million. Surely, this Job-like story would come to an end but not until the semi crash on a bridge one dark stormy night that permanently disabled her husband. How can one family shoulder the unbelievable burdens? How can one woman find peace in the midst of the turmoil tearing at her family? Where is God? Why is He punishing them? Will He help them withstand the pressures or will it destroy them? “Glimpsing God” is truly for anyone, but above all, the many who are wandering through that spiritual jungle of hurt, pain and confusion about their own circumstances. It’s for those who’ve wondered why God allows bad things to happen to good people, (or who’ve even wondered did He bring the bad things upon them)." Glimpsing God is a very moving story about a wife and mom to 5 small children, who has had to endure trial after trial in her life.﻿ A mom striving for only the best for her family, but feeling the pressure of all the obstacles falling into her path ... and at times ... posing the question that many of us have asked ... "Why do bad things happen to good people?!" I can relate to Rachel Alkire's story in SO many ways! As a loving wife and mom with 5 children of my own, I've had to overcome many a heartwrenching ordeal over the years as well. From our family's past struggles with drug addiction and the situations we were thrown into because of it, struggling to deal with behavior and learning disabilities for two of our children, to a near death experience with our youngest child after she accidently ingested Excedrin as a toddler. Add to that your everyday pressures of being a working mom with a now disabled husband, a nurse, teacher, chauffeur, housekeeper, therapist, psychologist, babysitter andMORE, who wouldn't feel crazy and hopeless at times. As mom, I am the one that brings a "happy face" to whatever situation we face... trying to spare my family as much pain as possible. I am the "bandaid to their bruises." I have found myself many times in the past asking God ... "WHY? What did we do to deserve this?" And after I've prayed, cried it out, and prayed some more ... HE gives me a much needed kick in the behind and says "HEY, you have 5 children and a husband that love and need you, and you WILL get through this too with MY help!" And yes, IHAVE gotten through these things and more ... with HISlove and kindness. Trusting and believing in HIM gives me the knowledge and reassurance that "this TOO shall pass." And I wake up every morning with a bright outlook ... a new beginning... and with the Lord by my side, I am armed and ready for whatever the day may bring me ... good or bad ... happy or sad. "I turned to the One who knows all, the One who created heaven and understands our bodies. Some say what great faith I have, but you need to grasp it wasn't faith alone that turned me to God. I will tell you -- it was desperation!" "Giving up for feeling pity wouldn't have helped anything. That survivalist mentality was what carried us through many rough days. Little did I know, it wasn't over, and no matter how good an attitude I had, it wasn't going to be enough. We would need more than a good attitude and a hope that God would work it out. We would need God Himself!" And lastly ... "There will never be an "end" to this journey we're on; the scenery just continues to change." Giveaway is open to U.S. Residents only and ends Wednesday, February 9 at 11:59pm EST. DISCLOSURE: Bring It On Communications has allowed me the opportunity to review one of their Christian books, Glimpsing God, and to offer one of my readers a chance to win TWO books of their choice from the titles listed above through a giveaway. I was not compensated in any other way. This book is very interesting as it is about a missionary's stories of Japan. 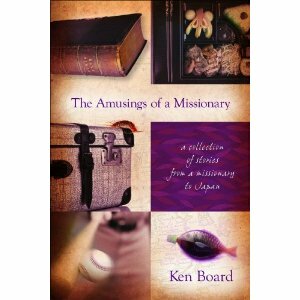 The short stories are very enlighten and full of tales of the missionary life in the country of Japan, These are some funny tales, embarrassing experiences and the sharing of the word of God to the Japanese people by Ken Board. As you read the short stories you will see that it is ok to laugh as well as enjoy the life of others. You are never laughing at them but with them. I really liked the funny story on page 87 of the book, when Ken was purchasing a new cell phone and having to wait and wait a little longer because of his hand writing. This book is full of stories such as this. Ken spent his life working for the Lord as a missionary, staff of the University Baptist Church in Fla. He also worked for the past forty two years helping to establish churches in Kyushu, Japan. He has been known as "Master Humor" by the pastors in Japan. This book was sent to me free for my review by "Bring It On Communications"
Temba is a boy who has many dreams. Owning a bicycle, and living in a safe neighborhood are two of his dreams. Temba’s favorite dream is to visit the ocean. He longs to hear the sound of the crashing waves and to taste the salty water. One day he enters a contest. The prize is a trip to the seaside by train! Temba believes in the Dream Giver; but as with any dream, he learns that obstacles may arise that threaten to steal a dream away. Temba and the Dream Giver is a children’s book that is geared toward teaching kids to never give up on their dreams and to not lose heart when obstacles arise. The Dream Giver in this book I’m guessing is portrayed as God but I really wish that was a little more clear. I also had hoped to at least find scriptural verses since this book is published under a christian label so I was surprised to not have found any referenced. Over all this isn’t a bad book, the message is pretty clear “Dreams Can Come True”. I would say this book is best geared toward children ages five years old and up. I would recommend picking up this one if you are looking for straight to the point character building story to share with your kids. Also I recommend being prepared to answer whatever questions your kids may have about who the Dream Giver is and about learning that sometimes things that they may really want for themselves may not always come to pass in which I really had hoped could’ve been addressed in this book. Disclaimer: I received a free copy of Temba and the Dream Giver by: Pam van der Merwe from Bring it On Communications for this review. 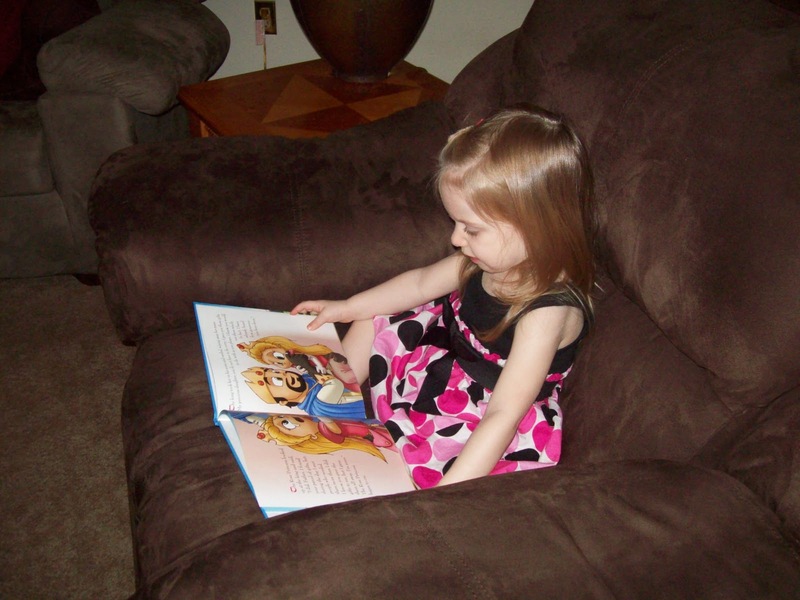 I truly believe that it is so important to read to children. I loved to read and be read to as a child, and I still love reading (when I get the chance!) today. I'm always looking for great books for Maggie that are not only entertaining but also an educational experience. 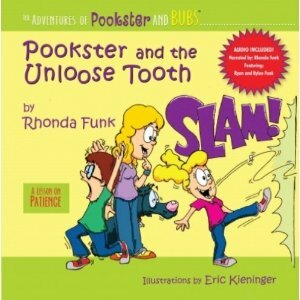 That's why I love the "The Adventures of Pookster and Bubs" series from author Rhonda Funk. As a Christian family, I want to teach my daughter Christian values. "The Adventures of Pookster and Bubs" book series focus on the fruits of the spirit. I was sent the books, "Pookster and the Unloose Tooth", a lesson in patience, and "Pookster and the Practically Perfect Pickle", a lesson on kind words. In "Pookster and the Unloose Tooth," Pookster learns the importance of waiting on God rather than doing things on her own. Gosh, as an adult, even I need to be reminded of that! "Pookster and the Practically Perfect Pickle" teaches children that sour words are hurtful and that it is important and pleasing to God to use sweet words. I enjoyed reading these books! They are very entertaining. They are still a little wordy for my 10 month old, but would be great for children ages 4-10! 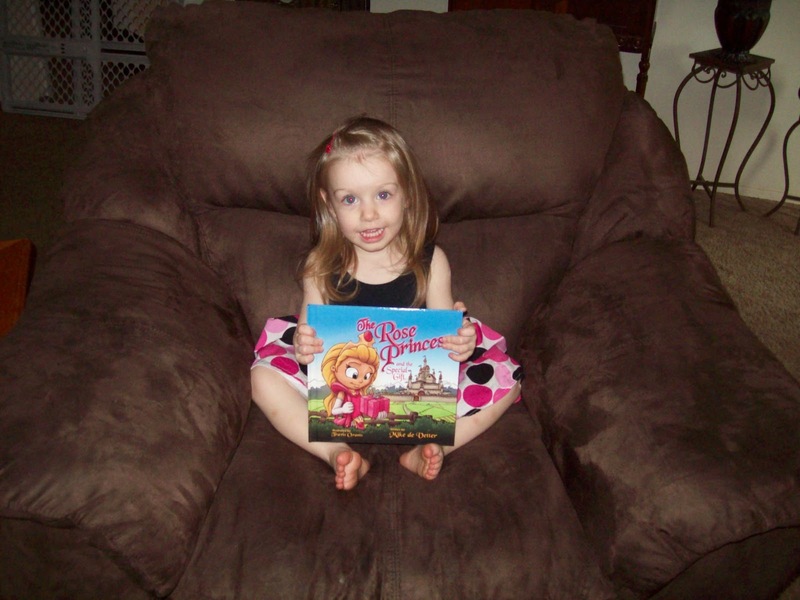 The books are written in ways that will be very relatable to your children. Another plus is that they each come with a CD, so you can take the book along and listen in the car, or let your children listen at home when you are too busy cooking dinner or cleaning the house. Each of these books end with a Bible verse that relates to the topic, perfect for memorization. I give these books 2 thumbs up and would definitely recommend that you add them to your child's library! Check out their website, http://www.pooksterandbubs.com/ and read more about the author at http://www.rhondafunk.com/. This past year of my life has brought me a lot of wonderful blessings, and I try to appreciate all that I have everyday. I know that any time, some or all of these blessings could be taken away. 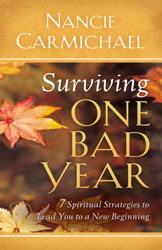 Surviving One Bad Year by Nancie Carmichael is a fabulous book to help those of you who are experiencing or have experienced loss or hardship. Part 1 of the book offers emergency tactics to help you keep your head above water when a huge wave of pain threatens to pull you under. Part 2 reveals seven strategies to help you navigate the stormy waters and make it safely to a peaceful shore. I really loved all the Bible passages that she included throughout the book. She kept God's gifts of peace, love and joy at the heart of this book, and that is why I think it is such an inspiring and helpful book. As I read this book, I became more and more thankful for the blessings I have. I got a little window into the lives of those suffering tremendous hardships, and I will be just that much more equipped to help my friends and family in their times of struggle. I really appreciated that the author herself went through a tough year with her daughter's unexpected pregnancy. Throughout the book, she kept referring to her own difficulties and how they coped. She also shares many other heart-wrenching stories of loss that will either make you feel grateful for what you have or will be relatable to those who are suffering now. There is a family friend of ours whose wife died quite quickly of cancer just a couple of months ago, and it hurts my heart to see him and know he is feeling such pain everyday. As I read this book, I couldn't stop thinking that I had to give it to him as soon as I was done. I think that this book is perfect for someone going through loss, because it gives the guidance and hope they need in a time of feeling lost and alone. If you are going through a tough time or know someone who is, please read and recommend this book. I know you will be comforted by it. You can read more and purchase this book here. 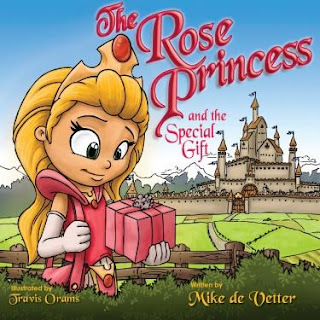 ﻿Recently, I was sent a wonderful children's book to review called The Rose Princess and the Special Gift by Mike de Vetter. My daughter absolutely fell in love with this book. The story is about a princess called the Rose Princess, who is given three items by her father the King. As she makes her travels throughout the day, she ends up giving away her gifts to people in need. At the end of the book, she is concerned that her father might be upset with her for giving the gifts away, but her father praises her for making a self sacrifice of helping others. He says, "Many people were blessed today because of your generosity." The illustrations in this book by Travis Orams are very detailed and the colors are eye catching. My daughter asked a lot of questions about the pictures. She would say that little girl is crying or that man is wearing a hat. My daughter really liked it because it was a good story, and also because the King looked like her Daddy and she kept referring to the Rose Princess as herself. It was really cute! Mike de Vetter is the co-founder and writer of Powerzone Productions, a children's teaching curriculum which is being used across the nation of New Zealand. He leads a church in Tauranga, New Zealand and is married to wife Amy and has a daughter named Rosie Grace. Source Rose Princess and the Special Gift by Mike de Vetter. You can shop online at Deep River Books or you can also find them at Amazon. At Home Moma did not receive compensation for this review but was provided a book for free to review. The opinions expressed in this review are that of my own. an up-close view of the cover. This very well may be the best book about potty training ever!The Log Family is a beautifully-illustrated book that gives you an insanely fun way to teach your toddler all about the "Log Family". 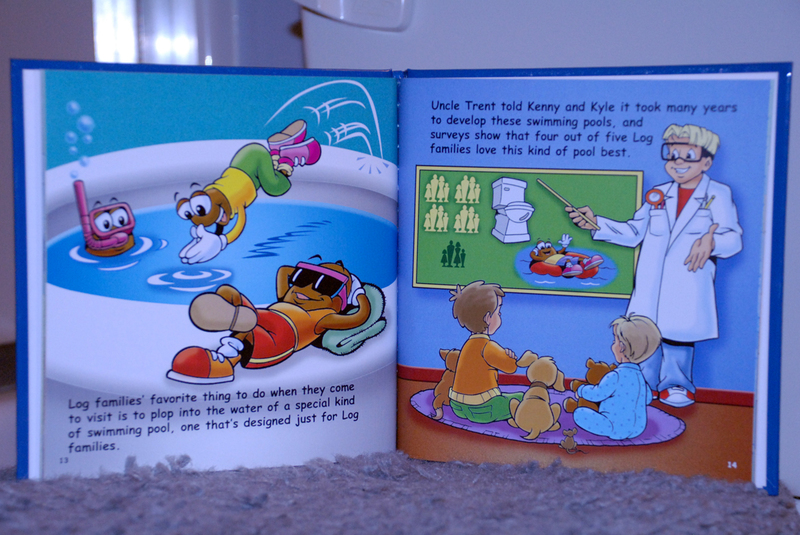 (*wink*wink*) Your child will learn all about how to tell when the Log Family is coming to visit, the special pool they like to go swimming at, the waterside ride they take to their own private beach... and even how many "towels" your child should send each Log Family member to the beach with! Click the photo above to check it out the beautiful illustrations up-close. The book is very well written, and my 2-year old son Phoenix loves it. (And... perhaps by coincidence... did go to the potty - standing up - the same day I first read it to him!) But, in addition to the book being great for kids... it great for adults too! 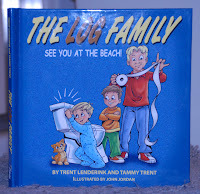 When The Log Family arrived in the mail, I couldn't stop laughing. "Ken, if I were to write a book on potty training, this would be it!" I proudly told my hubby. I adore the imaginative sense of humor that jumps off of every page. And, I'm not the only one loving it. I find myself taking it with my in my purse just so I can show people what a cool book it is. My co-workers found it to be hilarious! My in-laws were doubling over in laughter! It, seriously is that good and that funny! I highly recommend this book to anyone working on potty training. You can purchase it for just $11.99 at http://www.tammytrent.com/store.html. And, even if you don't have kids this age... you should still buy it. It'd make a great gift for a little one in the 1-3 age range. But, be prepared that when you read it first... you just might want to keep it! I received a complimentary copy of this book from Bring It On Communications to facilitate this review. The opinions expressed in this post are my own. 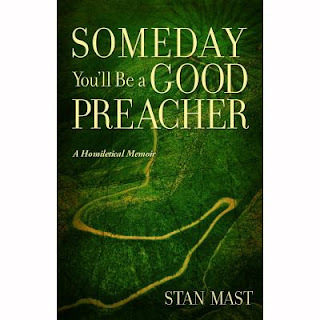 I was given the opportunity to review this book thanks to Author Stan Mast and Bring It On Communications . Someday You'll Be a Good Preacher especially interested me due to the fact that my husband is an ordained minister. We do not have a church right now but that may be in our future- God willing. With that being said, any and all advice is welcomed by us. You give a great sermon only to hear, “Someday you'll be a good preacher.” (ouch!) Becoming a good preacher is like traveling a winding mountain highway, where you're constantly surprised and sometimes terrified by new vistas and perspectives. In the words of Willie Nelson, you have to be willing to “get on the road again,” because it's a road worth traveling. You can set your heels and simply do what is comfortable, or you can learn from your professional superiors, and yes, even from your strongest critics. Aimed at those who want to become good preachers and their congregations who want that even more, this book covers many of the big issues in preaching, not as a “how to” book, but as a narrative that describes the journey of one working preacher and the lessons he's learned. Stan Mast goes into great detail about what it means to be a minister. I really like the personal stories he shares with his readers. This book is an easy read and one that is quite enjoyable. I would definitely recommend this book to any up and coming ministers. * This is my honest opinion. I was given this book in exchange for my review. To view my full disclosure, click on the link at the top of this page. "Not far from here lives The Rose Princess in a kingdom ruled by her father the King. One morning she awakes to find a splendid package at the end of her bed full of gifts and a card from her father encouraging her to use the gifts wisely. Unaware of what lies ahead, the princess sets out on a journey of learning and adventure where she meets several people who are in need. Suddenly she realizes that the gifts she has received can help the others, and that she has to make a choice...keep the gifts to herself, or help others by giving the gifts away. 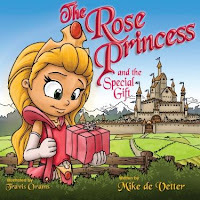 In The Rose Princess and the Special Gift, children embrace the heart of generosity and begin to make conscious decisions to share and give people who are in need. They learn that they have the ability to lead and influence simply by being a positive example." I received the Rose Princess and the Special Gift book to review. The first thing that popped out at me was the illustration. Travis Orams did a fantastic job illustrating. The bright colors really draw you in. It's cartoony enough that even my youngest who is 22 months sat down through the entire book and my 3 year old had me read it three times in a row. I love this book. My girls loved this book. Mike De Vetter is a great children's author. There were a few words that were a bit steep for my little ones but I think it's good to change and helps expand their vocabulary. The message it conveys is to share and help others that are in need. My toddler is actually not a toddler anymore, as he’s jumped into that preschooler stage now. As of right now, he is not potty trained yet, but it’s something that we should probably start working on. I just haven’t been in any hurry with him, and frankly, neither has he. I figure when the time is right, we’ll move forward. I have, however, tried to start introducing him to the concept. First of all, he already knows what to do, and he’s actually gone before, but he just hasn’t shown interest in going all the time. So, I’ve been starting to read a few potty training books to him, fun books that we get at the library. A few weeks ago, we were introduced to The Log Family by Trent Lenderink and Tammy Trent, illustrated by John Jordan. This book is full of vibrant, colorful pictures that kids enjoy; even Jaden likes leafing through the pages. The story is about two little boys, whose uncle is teaching them about the Log Family. The Log Family is no ordinary family. They live inside your belly, but when they’re ready to come out, they make all kinds of noises and move around in your tummy. They like to swim in a “special swimming pool,” the toilet. (Yeah, it’s kinda gross.) Actually, this book really did gross me out, but of course, my boys think it’s hilarious. The more disgusting, the better, it seems. The authors write as if they are telling a story to children, so it’s down on the kids’ level of understanding for sure. Sometimes it seemed as if there was a lot of detail, but for kids to understand about the potty, they really do need those details. They need to know what it feels like to have to go to the potty; the toilet being described as a giant waterslide for The Log Family is so what kids would think; I remember, as a kid, wondering what it must be like to ride through the pipes, however gross that may be. While this book may be a bit gross to adults, it certainly does produce a lot of giggles in the littles; I found myself wanting to laugh out loud when I read it for the first time, wondering how I would be able to keep from laughing when reading it to my kids. You can purchaseThe Log Family for $11.99 from Tammy Trent. Be sure to Like Tammy Trent on Facebook and follow @tammytrent on Twitter. The back of the book does contain potty training tips which are wonderful tips for first time parents, but if you’ve potty trained before, you’ve probably seen or read quite a few of them. Book Synopsis: During the U.S. elections of 2008, a number of Evangelicals began raising the cry that the rapture is near. Midnight Rising-Warning Signs for This Generation presents in stark terms, the reasons why a growing number of Evangelicals believe that the times and the seasons are upon us. In this volume, the nation from which the Antichrist will arise is made perfectly clear. Wm. Anderson Simpson shows signs that are not commonly discussed in relation to this topic, and makes a strong argument for the correctness of the Evangelicals’ urgent call for teaching and preaching concerning the things about to burst forth onto the world stage. Midnight Rising speaks of the Rapture, The End Times, the Tribulation, Armageddon, peace in the Middle East, false gods rising up appearing to be like the one true God, wars and battles, the Anti-Christ, worldwide famine, disasters and biblical prophecy. The book explains in detail how "prophecy from the Bible is being fulfilled in our day and time and yet some don't even realize it. It uncovers how the Church has been lulled into hopelessness concerning the Rapture". It speaks of the financial crisis, the end of the world system and as the "economies of the world collapse the United States will still emerge as the clear leader under the guidance of the devil himself, personified in the Antichrist". The case is made that "Christians and the church need to continue in the ministry of reconciliation and that many will perish because they have rejected the free gift of salvation God provided through Christ. People seek heaven by their own merits, and not by God's grace and their name will not be in the Book of Life of the Lamb slain from the foundation of the world." Midnight Rising is an excellent resource for prophetic research, bible prophecy, biblical studies or anyone trying to find a deeper understanding of the End Times and its meaning. There are numerous scriptural references from the Bible that support the writers argument pertaining to the End Times. We are living in perilous times and there has never been before such an urgency to spread the news of the Gospel of Christ to all the world. So many people are being persecuted for their belief in God and they are not allowed to worship freely. There will come a day when God will return to establish His kingdom and many will be unaware and caught off guard. When Christ returns will you be ready? For more information about Midnight Rising - Warning Signs for this Generation or to purchase your copy visit: Midnight Rising also Like their page on Facebook. Disclaimer: I received a copy of this book courtesy of Bring it on Communications. I provided an open and honest review and I was not compensated in any way. Book Synopsis: Christians all over the world are crying out with great sincerity and passion, “God, we need another great revival!” Constantly in search of God’s face, we persistently look for the power of God to manifest in our lives. In seemingly insignificant pockets around the world, the first wave of the revival has already begun. While living in the most ominous times in our world, born-again believers are hearing the clarion call of God to return to the root of their forefathers: Abraham, Isaac, and Jacob. Guided by their Bible, steadfast Christians are returning to prayer; they’re returning to the Torah. The Torah takes man on a spiritual journey to understand his Creator, as well as himself. He is destined to become more like his Creator through this journey. Thus, the journey, his destiny begins. LaSalle speaks of "Reuniting with God, this is a time of refreshing and repenting. In his words, God is calling for Christians to discover the true meaning of His word. Walking in a lifestyle that will bring about the inheritance that was meant for you since the foundation of this world." "God will restore all things - His presence, His power, and His purpose". God wants to spend time with us and for us to know Him and His Word and to experience Him on a deeper level. We are not to be wavering in our faith neither hot nor cold. Christians are to passionately love God. When you love someone you want to spend every moment with them. The same should be of our love relationship with God. You have to spend time with Him in order to know Him - you can accomplish this by studying His Word, setting aside time each day to pray and have fellowship with God. I thought the book was well written and thoroughly researched when covering topics such as the Torah, Yom Kippur, Rosh Hashanah, The Passover and Hebraic roots. The Next Great Move Of God comes at a time where the church needs to be reminded to turn their hearts back to God and renew their fellowship with Him. Often times we turn away from the things of God in search of wordly comfort only to find ourselves left feeling empty inside, when we have the answer all along. I am thoroughly convinced that God is calling for the true Christians to stand up and take their rightful place as believers and walk with confidence and boldness in the things of God. We are to continue to live our lives in such a way that other people will see God manifested within us. There are numerous scripture references which makes this an excellent tool for Bible scholars, biblical research, bible study and church discussion groups or anyone searching for ways to restore their relationship with God. For more information or to purchase a copy of the book visit: The Next Great Move Of God. Follow and Like the book on Facebook for more discussions and updates. You can also follow via Twitter. Disclaimer: I received a copy of this book for review courtesy of Bring it on Communications. All thoughts and opinions expressed were solely my own. I did not receive any compensation for this review. New Children's Book for 2011!